Description - Tired of the same ole carpet that you see at everyone's house? Yeah, it's soft and durable, but it doesn't have any life to it. No pattern or brevity, who's got time for that? You don't. Mohawk's Dynamo carpet is the answer to your prayers. Available in several colors in a beautiful multi-level pattern loop design, this broadloom carpet is certain to add life and comfort to any room installed. Constructed with Everstrand®, this carpet has been made to be resistant to staining, soiling, pet urine and is anti-static making it perfect for any on the go family. Mohawk Dynamo carpet is constructed to last and is backed by a lifetime warranty ensuring a beautiful floor for many years to come. 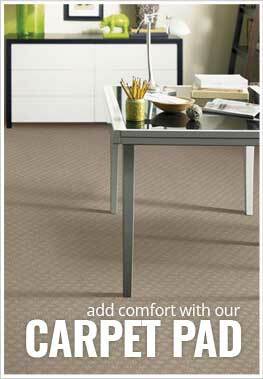 Recommended Uses - Mohawk Dynamo carpet is the perfect flooring option for any room in your home or business and is commonly found as flooring in living rooms, dining rooms, as family room flooring, in bedrooms, as basement flooring, in home offices, as office flooring, in churches and much more.